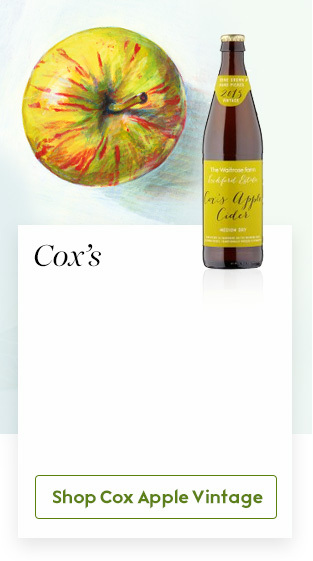 ones such as Bramleys and Coxes, or special cider apples, known as bittersweets and bitter sharps. These are just some of our favourites. 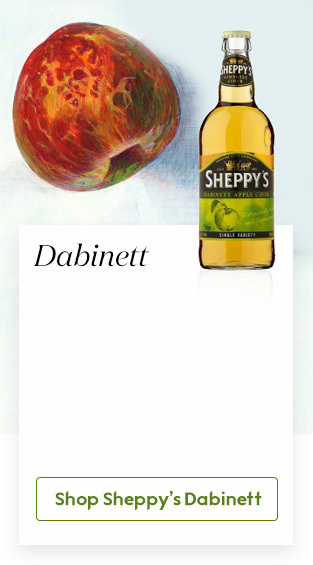 Truly a king among cider apples, Dabinett may be only medium in size, but its perfect balance of sweetness, acids and gentle astringency makes it one cider variety that can go solo. Discovered growing in a hedge by William Dabinett, it offers delightful aromas, ranging from ripe apple and pear notes to peaches and honey. The king of the cooking apples, Bramley has magical properties in cider, too. Discovered in Nottinghamshire in the mid-19th century by Matthew Bramley, its tangy complexity soon marked it out. 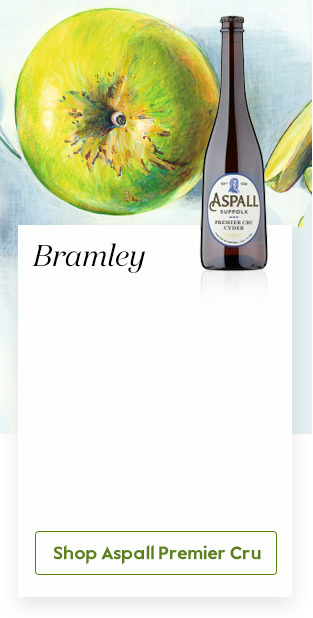 For Suffolk-based Aspall, where cookers and eaters are the stars, Bramleys add backbone and pizzazz. ‘They’re my desert island apples,’ says Aspall’s eighth-generation cider maker Henry Chevallier Guild. It wasn’t just the Beatles and the mini-skirt that arrived in the swinging 60s – Katya apples landed from Sweden. 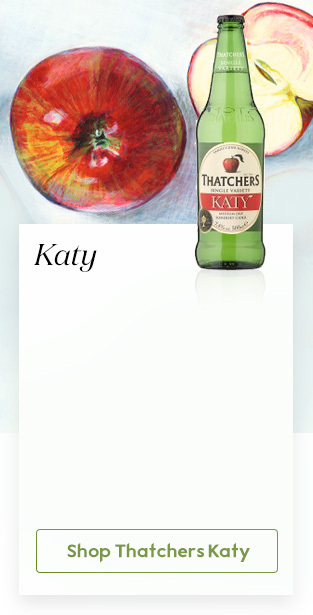 Promptly rechristened Katy, they soon found favour because of their great balance of acids and sweetness. Nowhere did they settle better than in Thatchers’ orchards in Somerset. Expect refreshment, a touch of tang and delicate savoury notes. Match with lightly spicy dishes, pasta and fish. Sometimes a great blend of bittersweets just needs a blast of tangy appley-ness to help add definition. 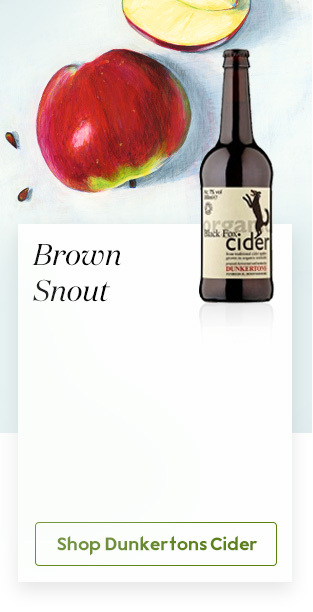 Dunkertons Black Fox is a 10-strong blend of apples, and this is where the ruby red Brown Snout comes in. Cultivated in Somerset at the end of the 19th century, this variety also throws a fine show at blossom time. Flushed red with attractive greeny-orange flecks and hailing from Somerset, Harry Masters Jersey is a true bittersweet, where a soft astringency sits alongside the fragrance of the fruit bowl. It works really well when paired with other ingredients too – fifth-generation Westons’ cider maker Guy Lawrence adds West Country rhubarb juice to one of his ciders for a uniquely English flavour. An orchard close to what is now Heathrow, created by 19th-century brewer Richard Cox, is the source of one of the nation’s most popular eaters, Cox’s Orange Pippin. 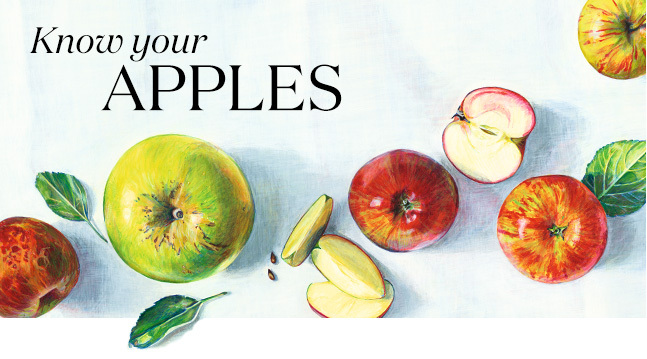 With its familiar red and orangey-green-flecked skin, its breadth of sweetness and appley crispness can be crafted into a refreshing, fragrant cider.